Three hole Fiber Optic Stripper model performs all common fiber stripping functions. - This Fiber Optic Stripper strips the 2-3 mm fiber jacket down to the 900 micron buffer coating. - The second hole strips the 900 micron buffer coating down to the 250 micron coating. - The third hole is used to strip the 250 micron cable down to the glass fiber without nicks or scratches. The Fiber Optic Stripper is used for stripping 250 micron buffer coating from 125 micron optical fiber. 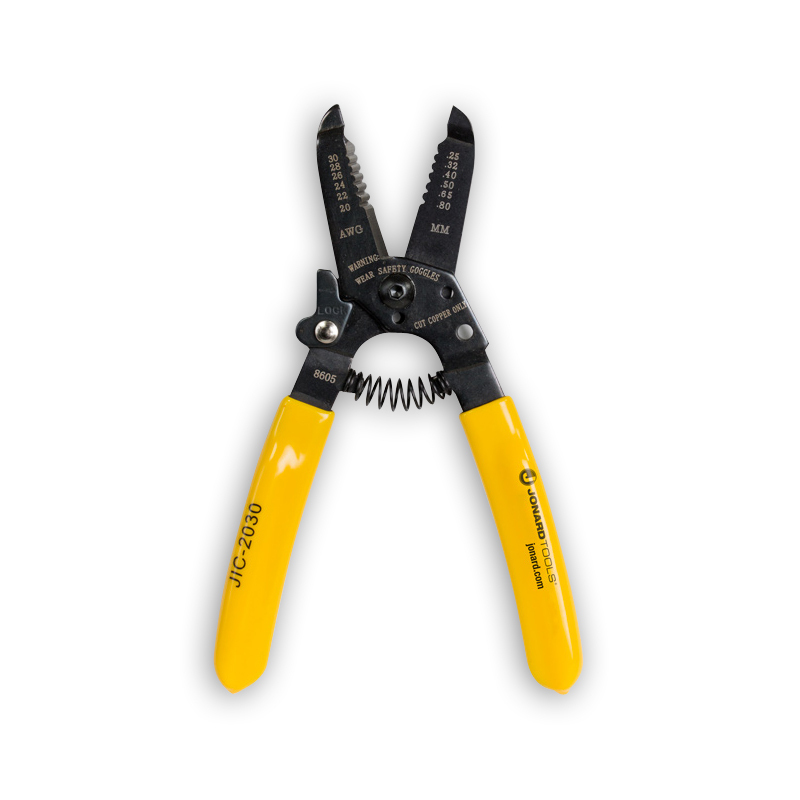 The Wire Stripper and Cutter is designed to strip and cut the most commonly used stranded and single wire gauges 10 to 22 AWG and 2-3 mm fiber jackets. - cutting surfaces that are hardened, tempered and ground for superior performance. - 6 ¾" long and weighing just 4.5 ounces. 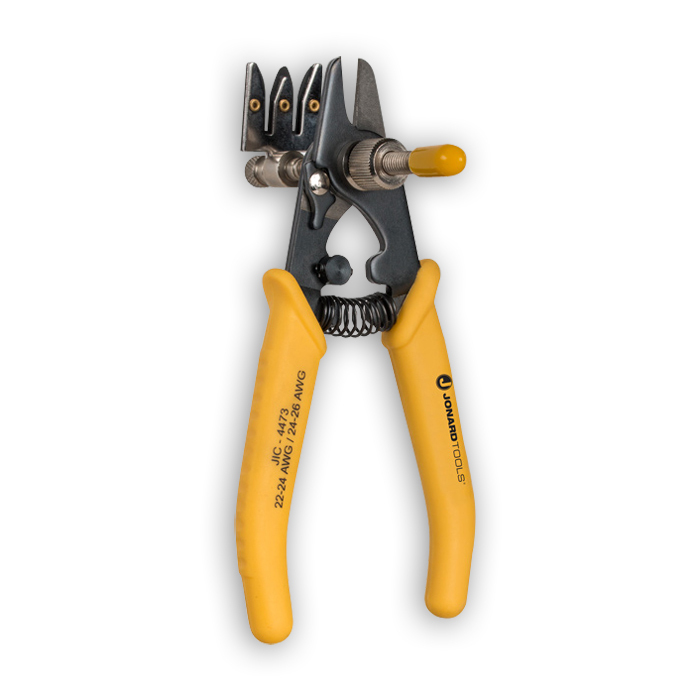 The JIC-1022 Wire Stripper and Cutter is designed to strip and cut the most commonly used stranded and solid wire gauges 10 to 22 AWG and 1.6-3mm fiber jackets. 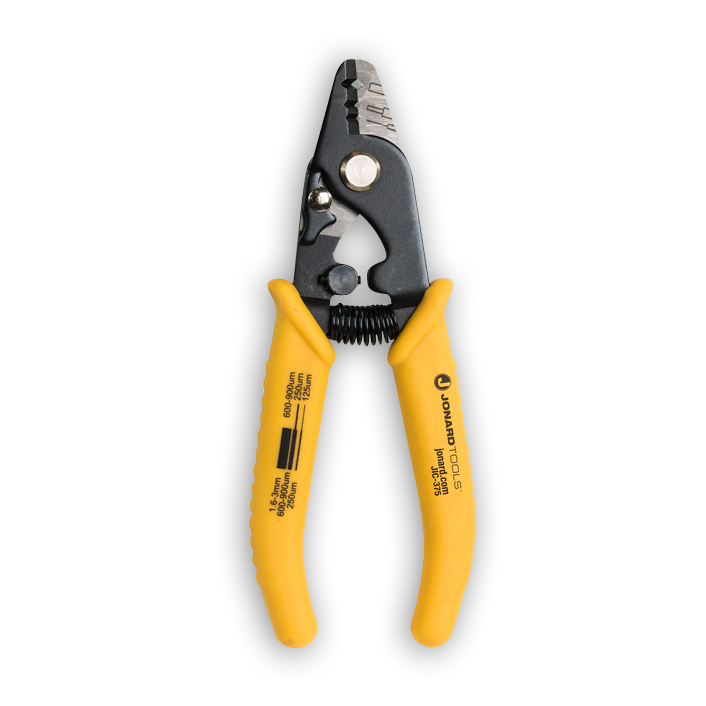 The JIC-1626 Wire Stripper and cutter is designed for 16 to 26 AWG wire. 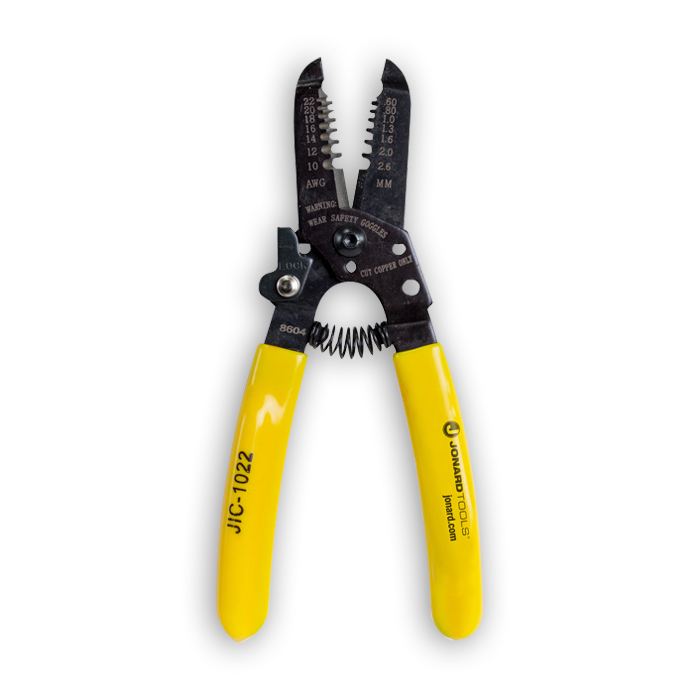 The JIC-2030 Wire Stripper and Cutter is designed for 20-30 AWG wire. Other features include a coil spring opening to reduce fatigue, wire looping, bending holes conveniently located black oxide finish. locking mechanism, and cutting surfaces that are hardened, tempered and ground for superior performance. 6 3/4" long and weighing just 4.5 ounces. 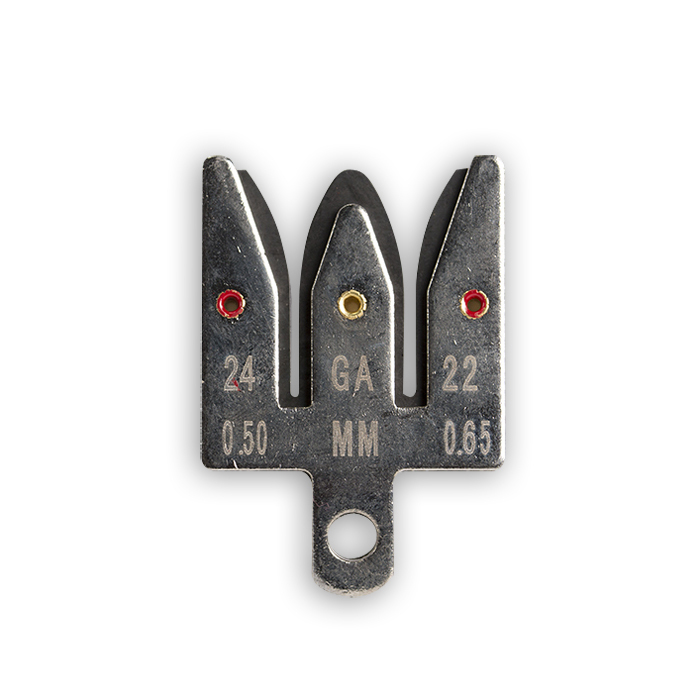 The JIC-1022 Wire Stripper and Cutter is designed to strip and cut the most commonly used stranded and solid wire gauges 10 to 22 AWG and 1.6-3mm fiber jackets. 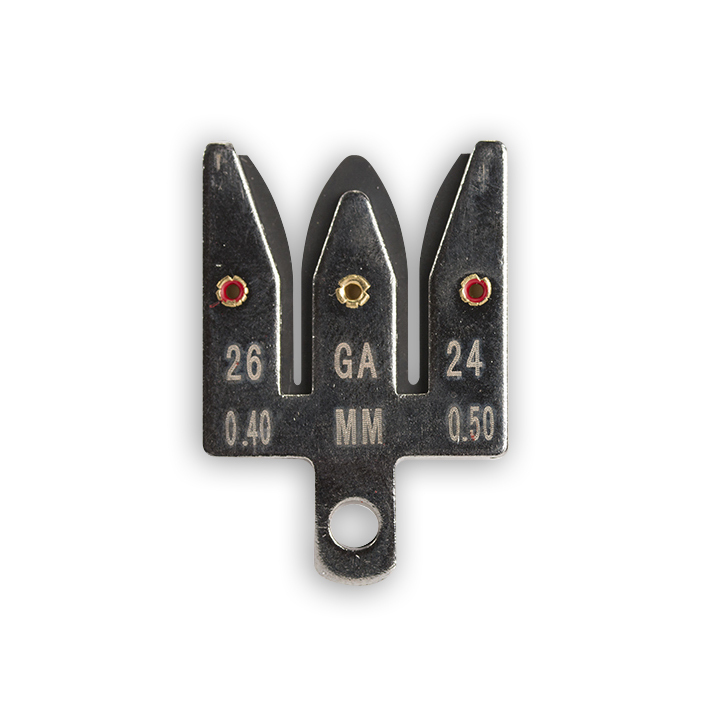 The JIC-1626 Wire Stripper and cutter is designed for 16 to 26 AWG wire. 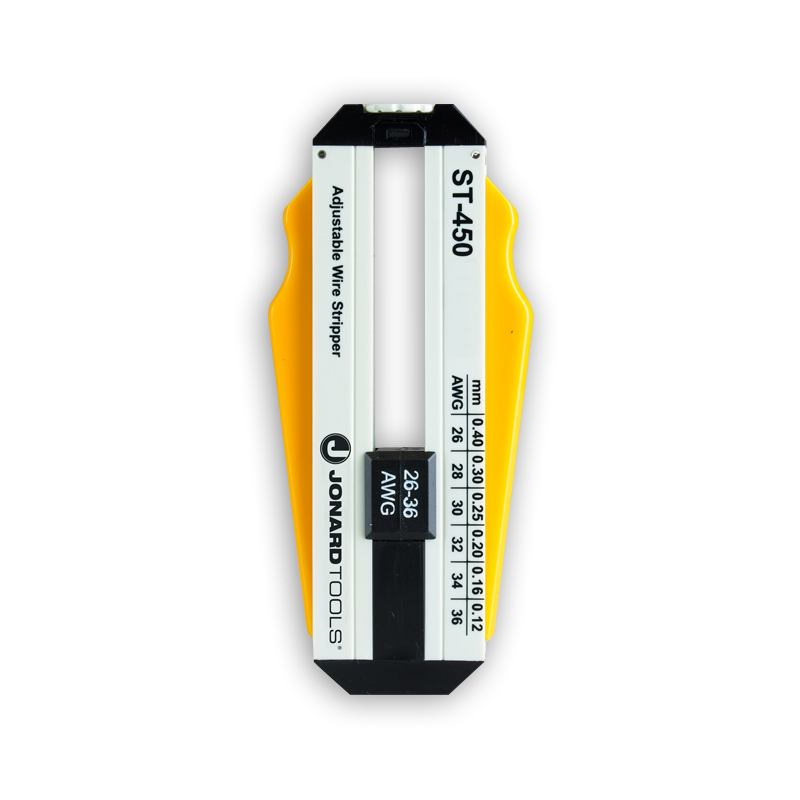 The JIC-2030 Wire Stripper and Cutter is designed for 20-30 AWG wire. Other features include a coil spring opening to reduce fatigue, wire looping, bending holes conveniently located black oxide finish. locking mechanism, and cutting surfaces that are hardened, tempered and ground for superior performance. 6 3/4" long and weighing just 4.5 ounces. The latest development in wire stripping & cutting. Simply place the wire in the stripping slot. Squeeze and pull. - The wire is stripped and cut to the exact length required. - interchangeable blades 22-24 AWG and 24-26 AWG. A revolutionary concept for easy and clean stripping of wire for wrapping, electronic and appliance applications. Biomechanically designed for maximum efficiency. Easy to operate... place wire (up to 4) in stripping slot with end extending beyond cutter blades... press tool and pull... wire is cut and stripped to proper "wire wrapping" length. 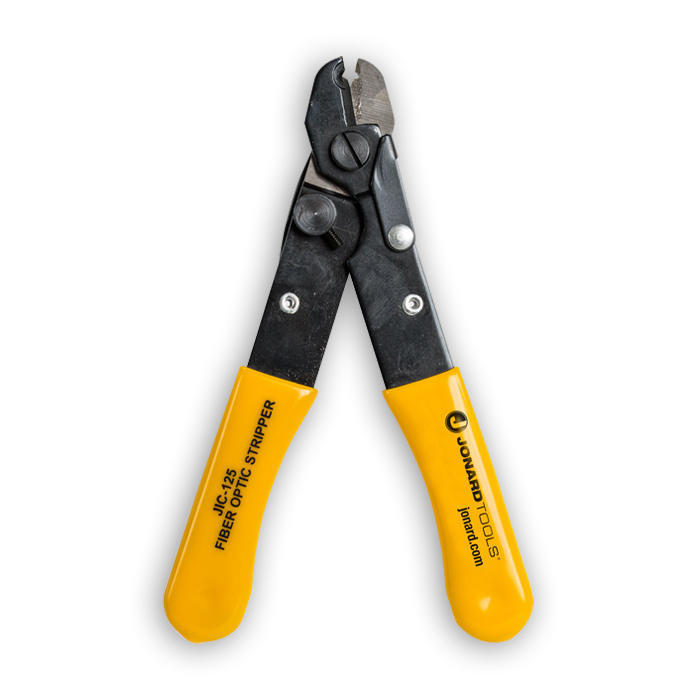 The hardened steel cutting blades and sturdy construction of the tool ensure long life. 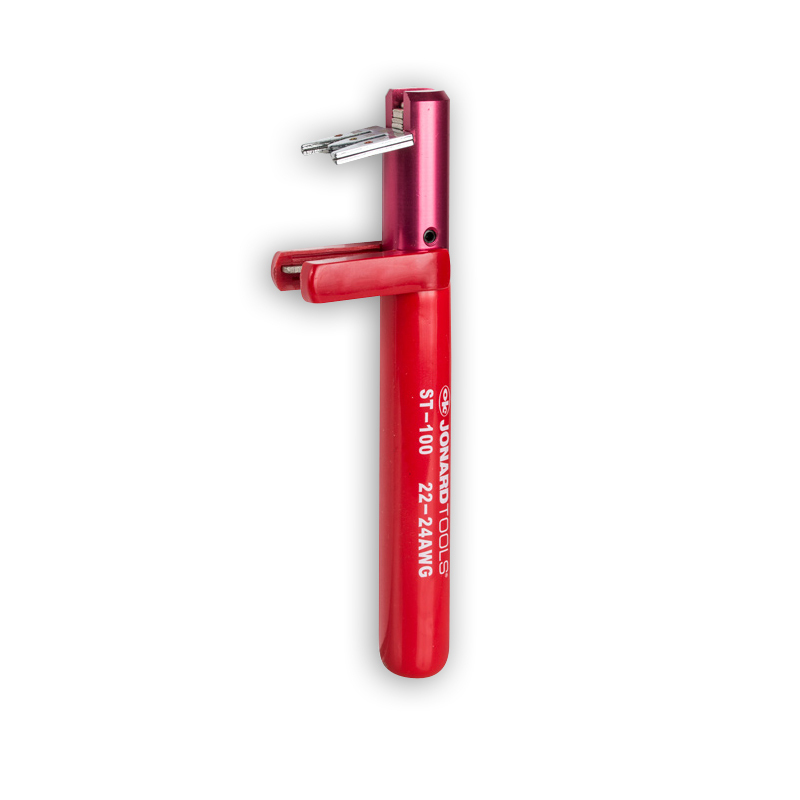 Strip length easily adjustable for your application. Blades are mode from specially tempered spring steel for clean, nick-free wire stripping. 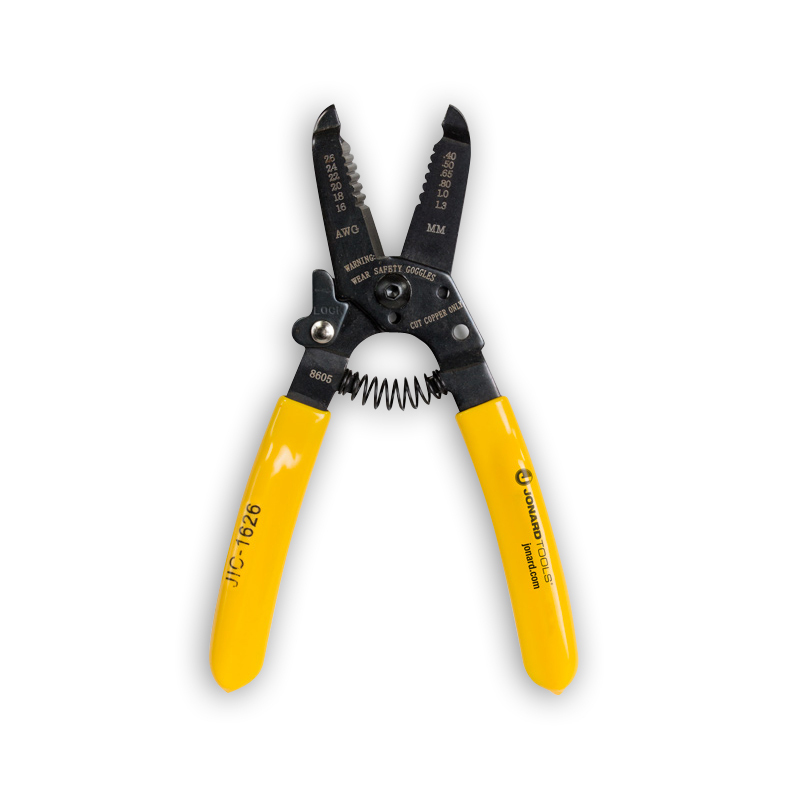 These Precision Wire Strippers feature an adjustment dial that allows the operator to select one of six different settings. A calibrated wire stop can then be adjusted for the desired insulation strip length. 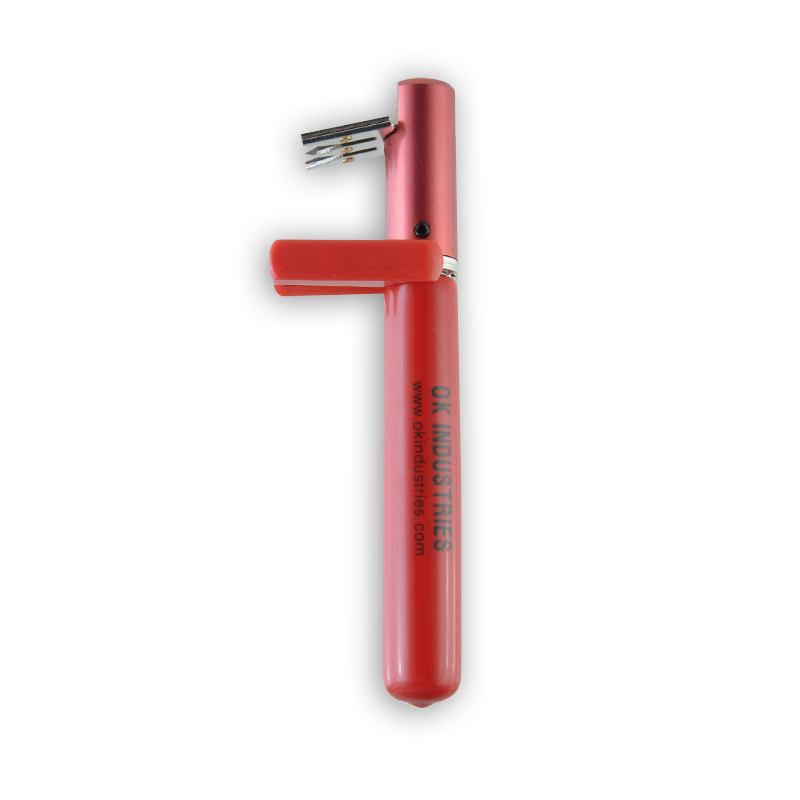 In a single motion, the operator squeezes and pulls the tool. This action engages four specially hardened blades to cleanly cut the wire insulation while the pulling motion breaks the insulation / conductor bond. 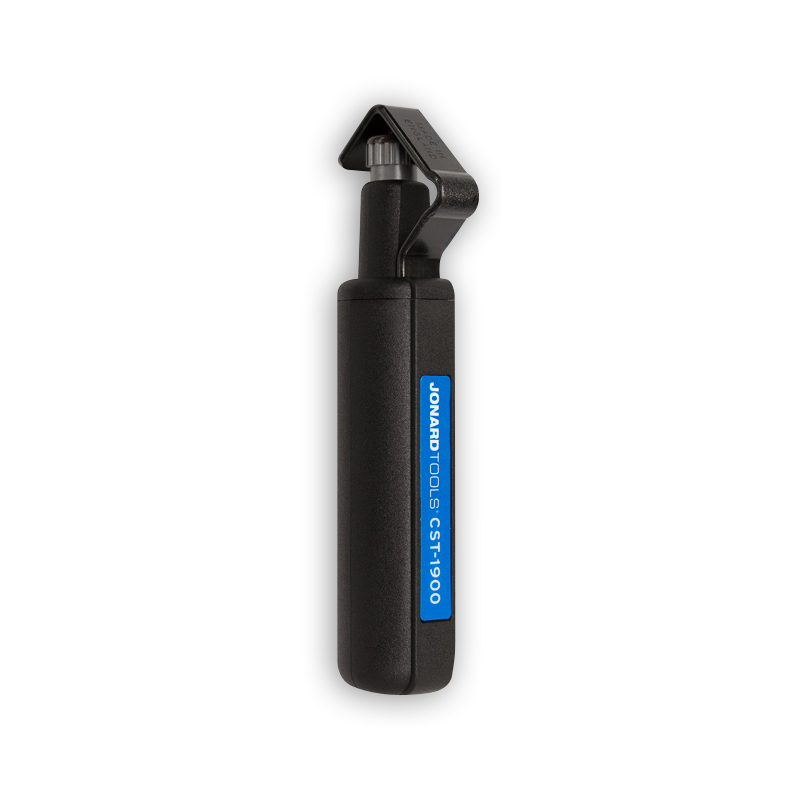 The CST-1900 is designed for fast and precise jacket removal of PVC, rubber, PE and other jacket materials, and works well on round cables with diameters ranging from 3/16" to 1-1/8" (4.5-29 mm). This is a Triple Action Tool, cutting longitudinally for end stripping, spiral for end stripping and mid-span cuts, and circular for jacket removal. A simple versatile easy to use tool your customers will love. The Replaceable Cutting Blade CST-7915 is spring loaded, adjustable for various cable diameters, provides a 90° blade rotation and is designed for long life.